Around the Water Cooler, which occurs on select Thursdays at the Global Water Center, is an hour-long session that allows GWC tenants to share their mission and any current projects being worked on, and provides a platform for tenants to make an ask of other fellow tenants. Kristen Leffelman, Field Services Representative, Wisconsin Historical Society (WHS) presented during the first Around the Water Cooler of the 2015! Leffelman’s office at the Global Water Center, is the first time the WHS has had a presence in the Milwaukee area. She spoke to the three main departments of WHS: Museum and Historic Sites, Historic Preservation and Public History, and Library Archives. WHS entered the Global Water Center in late fall 2014 to aid in the preservation and management of The Water Council’s records and to provide further historic backing and reference for The Water Council initiatives. Water dramatically influenced how Milwaukee and Wisconsin were shaped and WHS is currently working to showcase this history in a future exhibit at the Global Water Center, which eventually could become a traveling state exhibit. Additionally, through meticulous documentation and research, WHS is an excellent resource for accessing state archeology, national and state registers of historic places, as well as building advice on historic homes and businesses. This generalized and categorized information can easily be accessed through their website, while more topical information can be found through various publications that can be purchased online or at one of their locations throughout the state. The 12 primary sites WHS maintains collectively draw 300,000 visitors annually. Their primary historical museum on Madison’s Capitol Square will be closing soon for reconstruction, upgrading to a facility with larger exhibit accommodations to showcase much more of their collection. To plan your visit to this museum or to check out one of their other 11 secondary locations, click here. 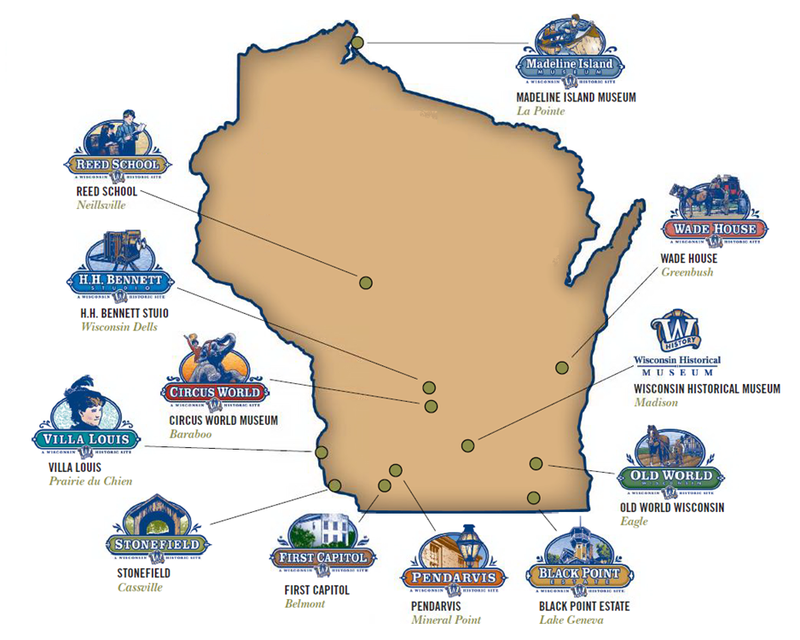 However, if you are looking for a sample of Wisconsin history closer to home, there is a Wisconsin History Tour on view now at the Milwaukee Central Library from January 3-29, with special events during Program Week (Jan. 20-24), including special discussions, workshops and even a History Happy Hour, all of which are free and open to the public. Learn more HERE! Tune in to our monthly Event Announcement for additional upcoming event details. If you have events you would like us to share, please complete the Event Announcement Form and return it to Admin@thewatercouncil.com by the 1st of every month for consideration.